I have been on the look out for a leave in conditioner for quite some time but was apprehensive to make a purchase; my hair easily gets greasy and weighed down by 'conditioning' products. I really want healthy, conditioned hair that can have a decent amount of volume, something that I have found quite difficult to achieve! 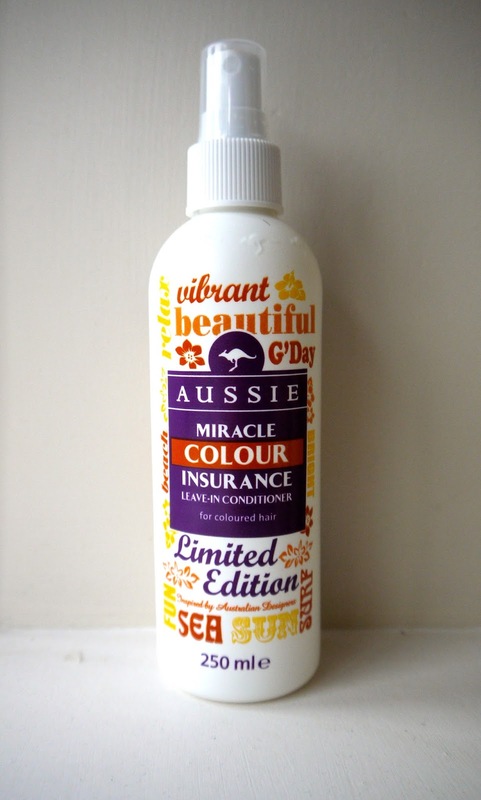 I bought this Leave-in Conditioner from Aussie a few weeks back and have really been impressed with the results. In fact, everything I have tried from the Aussie brand has impressed me! All of their products smell great - something that is very important for me with haircare, and they are very reasonably priced. Especially if you get them on offer as I did with this one. I spritz this all over my towel dried hair, comb through and then blow dry. It is really good for de-tangling your hair as well. I may look into the rest of the range to see what styling products the brand has to offer. You can see me talk about this product in my June Favourites video HERE.